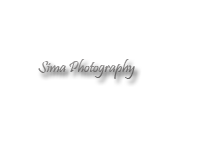 Sima Photography Studio is a professional photographer servicing Atlanta area. I love to photograph all ages, but babies are my absolute favorite. Just as every person is unique, each and every image I create is a reflection of your individuality. I am married and have a son that was my first model. I look forward to meeting you and capturing your moments. I think the best part of my job is having the feeling that I made a difference in saving beautiful memories of my clients by photo.